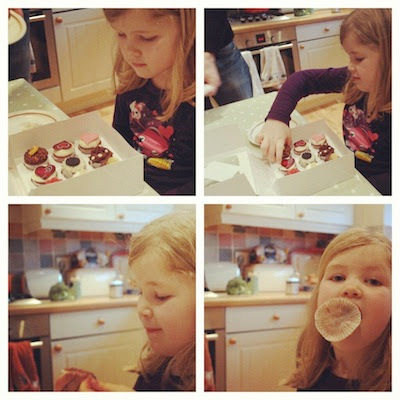 "The four stages of cake consumption @vintage_village @STCakeDesign"
"Love a bit of Blue! 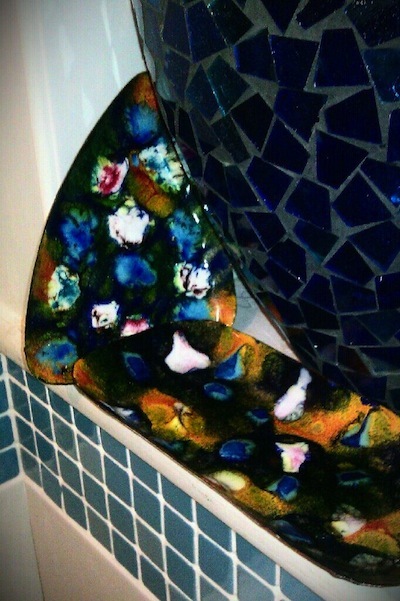 @Vintage_Village 70's abstract copper enamel dishes"
"Nice haul from @Vintage_Village today. 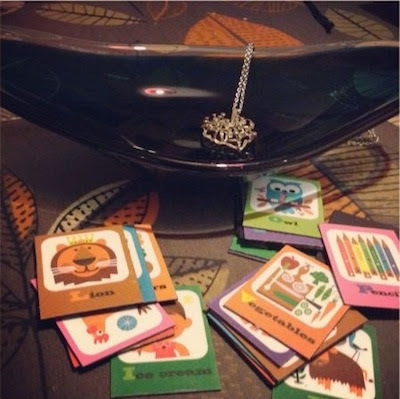 Love the abc retro magnets for Joe." 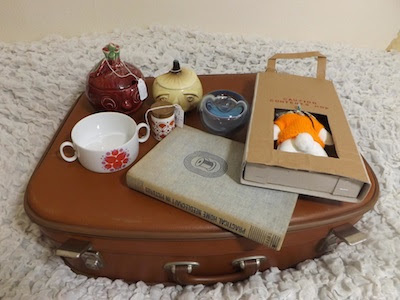 "My purchases from this weekends fair - A suitcase from All Our Yesterdays Going to store my crafting stuff in it instead of an old cardboard box ! Two Sylvac jars from Memories are Made of These bought for Gaynor and a cute Hornsea pepper pot. A lovely embroidery book for 50p , an apple ornament and a lovely two handled dish." 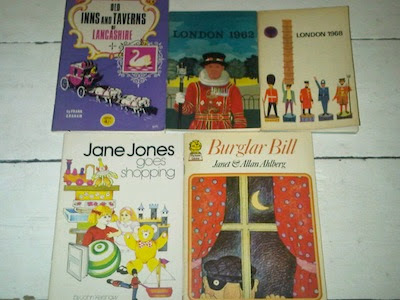 "Pleased with my books from All our yesterdays @Vintage_Village, esp 'Jane Jones' which was a fav as a child." 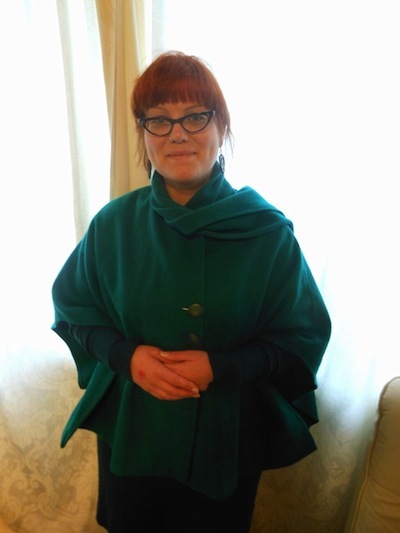 "For @OldFashionedSus and @ThingsToDoinMcr - the cape picked up from @Vintage_Village *love*"
"Treat from me to me. 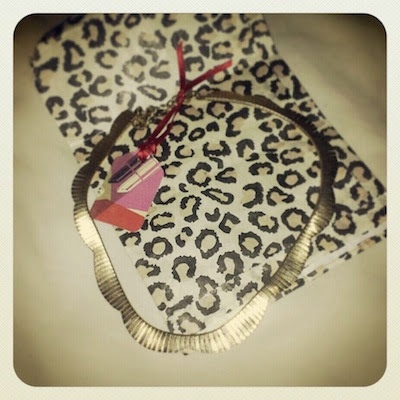 Today's purchase from @Vintage_Village #gold #necklace #vintage"
"Watajoy! 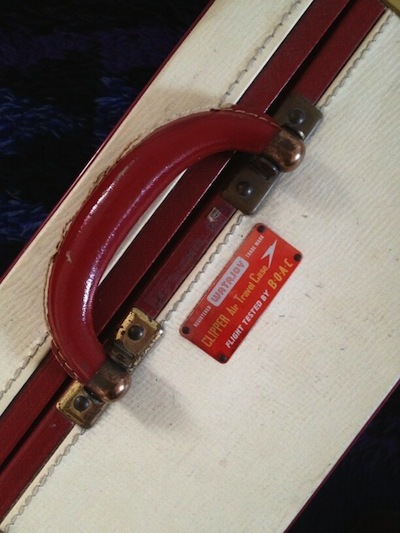 I'm ready to join the jet set with this BOAC tested suitcase from Sunday's VV fair." 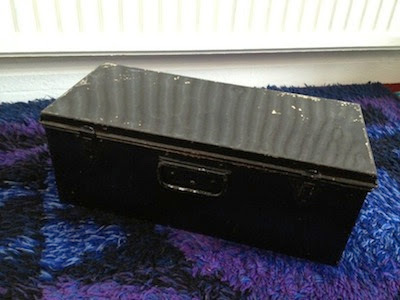 [Editor's note: this fine suitcase was from Vintage Rooms]. "@CountryLiving #fleamarkethall beautiful 1920s art deco bevelled mirror! 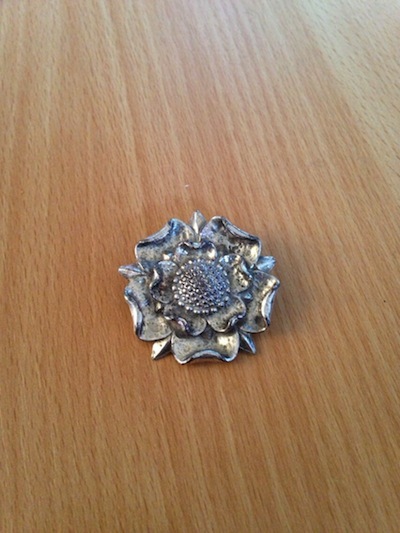 Found today @Vintage_Village fair <3 it! 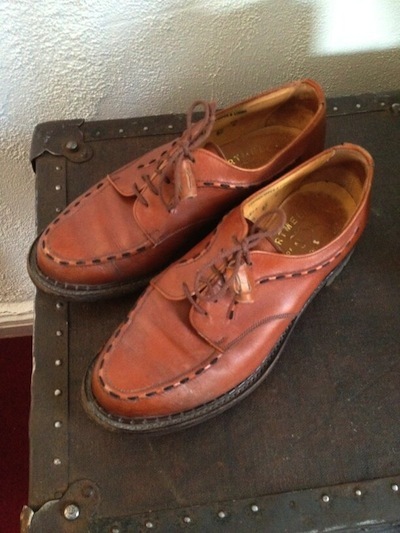 x"
"@OldFashionedSus @thingstodoinmcr @vintage_village :o) And then I got these - memories from my childhood..."
"Vintage treasure hunting this morning @Vintage_Village :) &#x1f497;❤ #valentinofair"
"Sturdy 40s walking shoes from Bus Stop Vintage, another treat from Sunday's VV. They fit like they were made for me!" 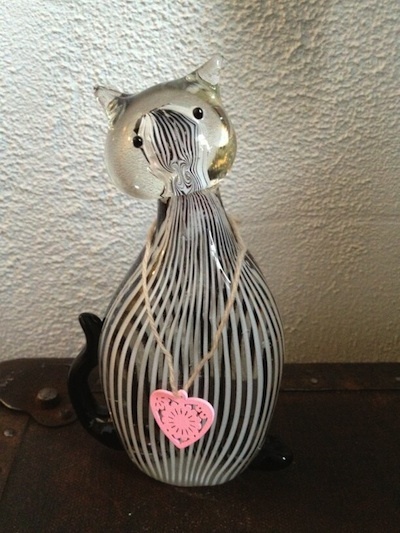 "My Yorkshire Rose pin bought yesterday at @vintage_village"
"Last one from Sunday's fair - glass cat from @RetroFunky1 - with a free Valentine's love heart!" It's a very curious thing, but our February fairs are often among the best attended of the year, and this Sunday's Valentino Fair proved no exception. The headlines threatened us with warnings of heavy snow, but fortunately that didn't materialise, although it was bone-chillingly damp and cold! 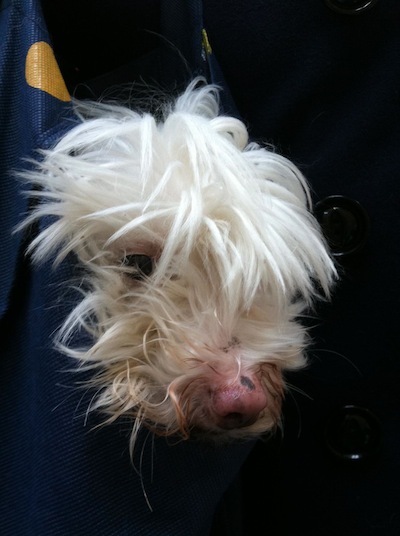 Here's your chance to peer through the eyes (and iPhones!) 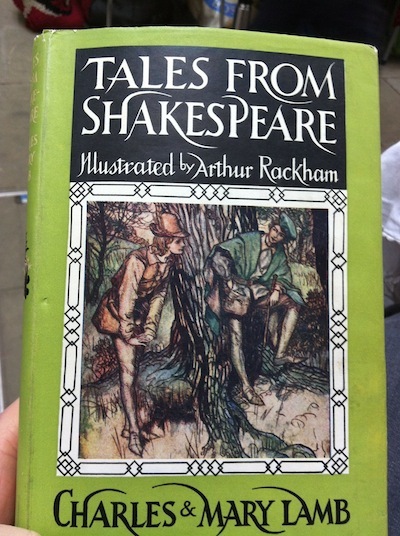 of our visitors (and traders) and see what they saw, what they bought and, er, what they consumed. 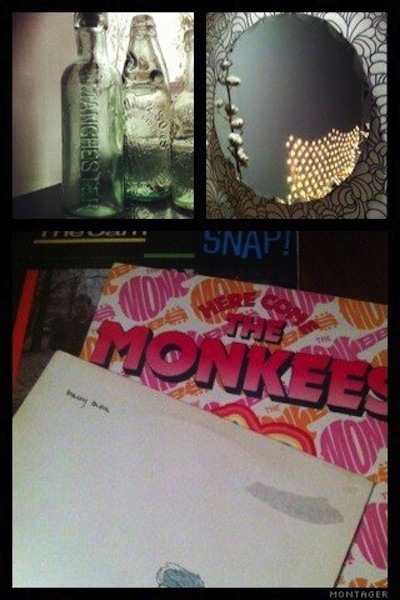 And yes, I have included some photos of my own - I make the rules here, and can bend them as I see fit! Our fulsome thanks to everyone who shared their fantastic photos with us, all of whom you can 'meet' by clicking on their Twitter names. You can also visit the source pages by clicking on the pictures. 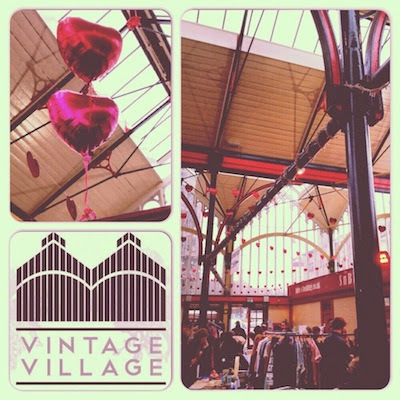 If you would like to contribute, just tweet your photos to us @Vintage Village or post them on our Facebook page. 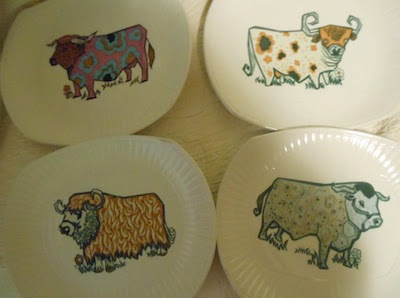 You also mustn't miss two excellent blogs about the fair, from one of our previous Finders of the Fair, Vicky aka @sewabee, who made up for lost time with a very impressive vintage haul, and from one of our regular stallies, Oooh Betty, who was a visitor this month and acquired herself some lovely Vintage Village treasures! 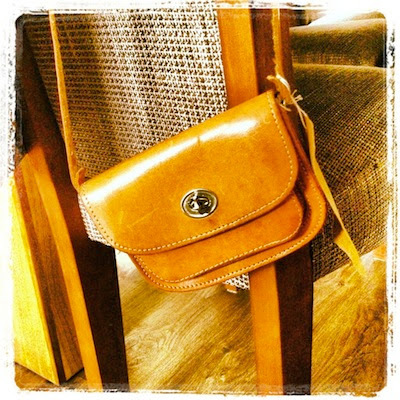 "@Vintage_Village loving my new purchase today :)"
"Happy shopper! 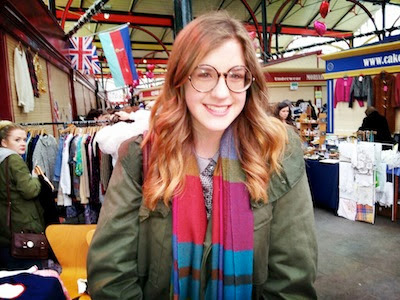 #vintagevillage @vintage_village @prilbot the knick knackery"
[Editor's note: this young lady is the proud new owner of those super glasses from new traders The Knick Knackery]. "Yep! 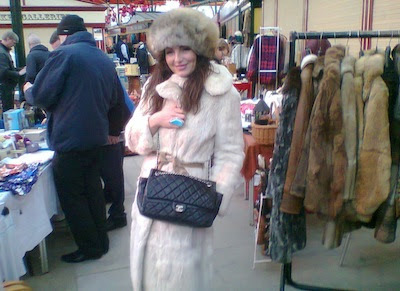 Result again at @vintage_village!" 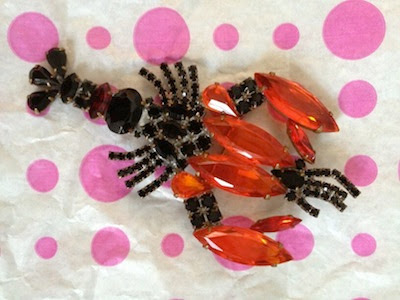 "Couldn't pass this giant lobster brooch by! From Caroline Syddall at Sunday's Valentino Fair." 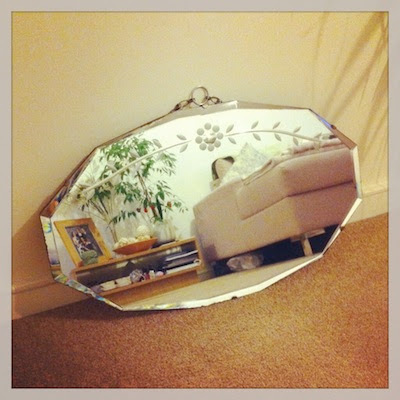 "I had a visitor come by @Vintage_Village today- Jude"
"@Vintage_Village Spent the day admiring my new mirror and other finds. Brilliant as always." "@Vintage_Village find, I couldn't leave behind- love a good book"
"a VERY happy customer just purchased this stunning white fur coat from Maggie Garbo Antiques! 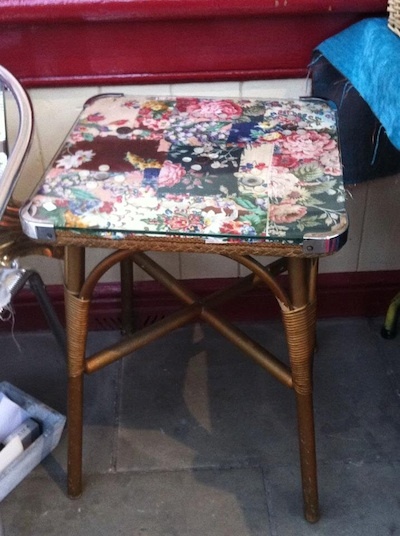 £25 at Vintage Village Stockport." 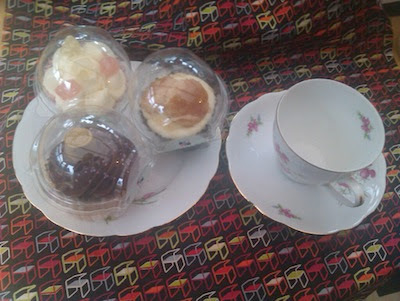 "Lovely day at @Vintage_Village Got a pretty teacup set, great cupcakes from @STCakeDesign and Liberty fabric!" 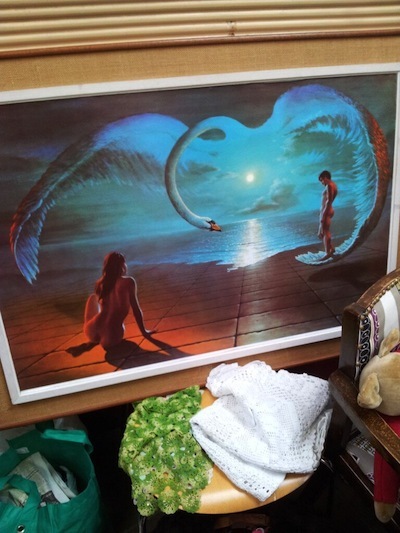 "Memories of my late Aunty Syl @vintage_village today. This pic used to have pride of place in her front room." 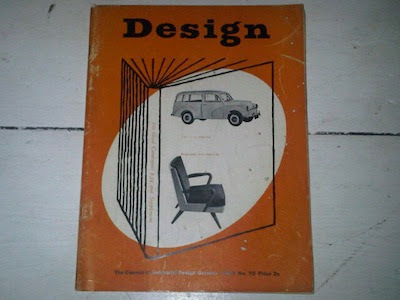 "And couldn't resist another copy of Design from Eclecta @Vintage_Village due to the Morris traveller on the front." "Oops, didn't get the OH anything for Valentine's day at the fair. This tin case is MINE!!" 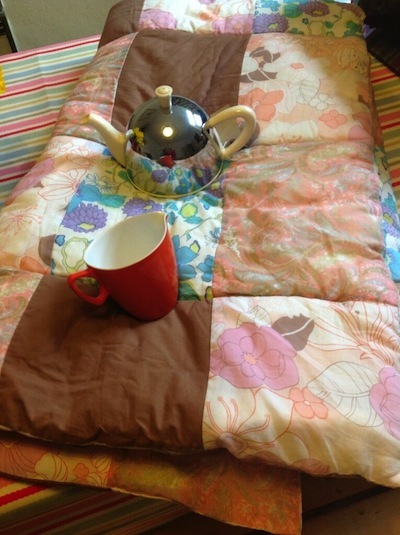 "My purchase from @Vintage_Village on Sunday, looks lovely in my little cottage!" [Editor's note: from Je Ne Sais Quoi].